Vestbee, leading dealflow platform that connects global VC funds, corporates, accelerators and business angels with startups and scaleups from Central & Eastern Europe together with CEE Business Angels Network, has launched the third edition of CEE Startup Challenge. 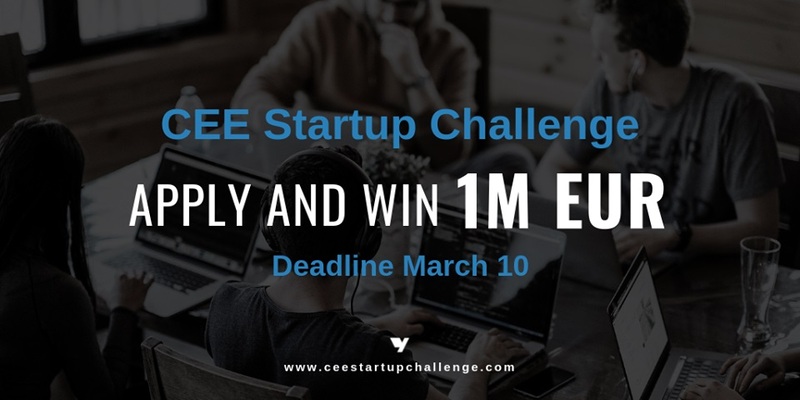 What is the CEE Startup Challenge? The biggest regional online competition for startups and scaleups, where one can win up to 1 million euro investment from Next Road Ventures. Who should apply to CEE Startup Challenge? All regional companies that fit in the categories of ICT, AI, Data & Analytics, Fintech, Insurtech, Blockchain, E-commerce & Marketplace, Adtech & Martech, Edtech, Media & Entertainment. Apart from 1 million investment opportunity applicants will get exposure to global investors, corporates and media, business development support, media coverage, tickets to many startup events and access to different business tools. The full list of benefits and rewards is constantly growing. Check it on the event’s website or social media. The applications close on March 10th. For more information, please contact Vestbee's Marleting Manager, Daria Antoniuk (daria.antoniuk@vestbee.com).